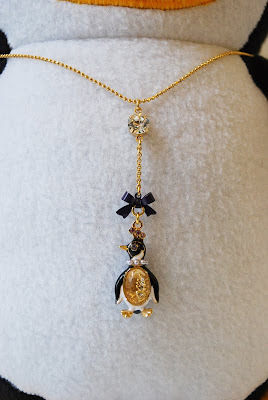 When I opened the box and found this sweet penguin necklace, I couldn't stop myself from smiling so big! :D It's a Christmas present from my mother. 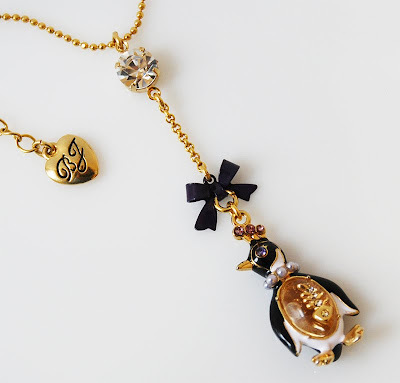 She was out shopping for presents and happened to see this penguin necklace and immediate thought of me. So she just had to get it. I absolutely LOVE the details, especially the clear stomach with the bone of an eaten fish!